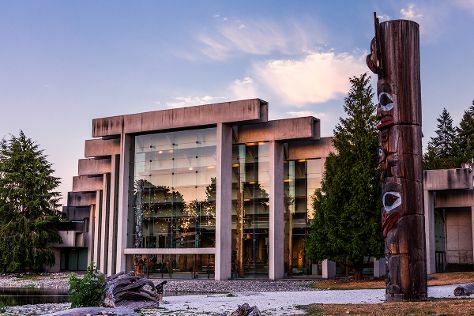 Let the collections at Museum of Anthropology and Vancouver Art Gallery capture your imagination. Deepen your sense of the past at sights like Yaletown and Deep Cove. You'll find plenty of places to visit near Vancouver: Richmond (Steveston Heritage Fishing Village & Dolphin & Whale Watching), Chilliwack (Cultus Lake & Anita's Organic Mill) and Golden Ears Bridge (in Pitt Meadows). The adventure continues: admire all the interesting features of Granville Island, visit a coastal fixture at Lighthouse Park, tour the pleasant surroundings at Stanley Park, and wander the streets of Vancouver Downtown. For where to stay, photos, ratings, and more tourist information, read our Vancouver trip planner . In June in Vancouver, expect temperatures between 24°C during the day and 15°C at night. Finish your sightseeing early on the 30th (Sat) to allow enough time to travel back home.